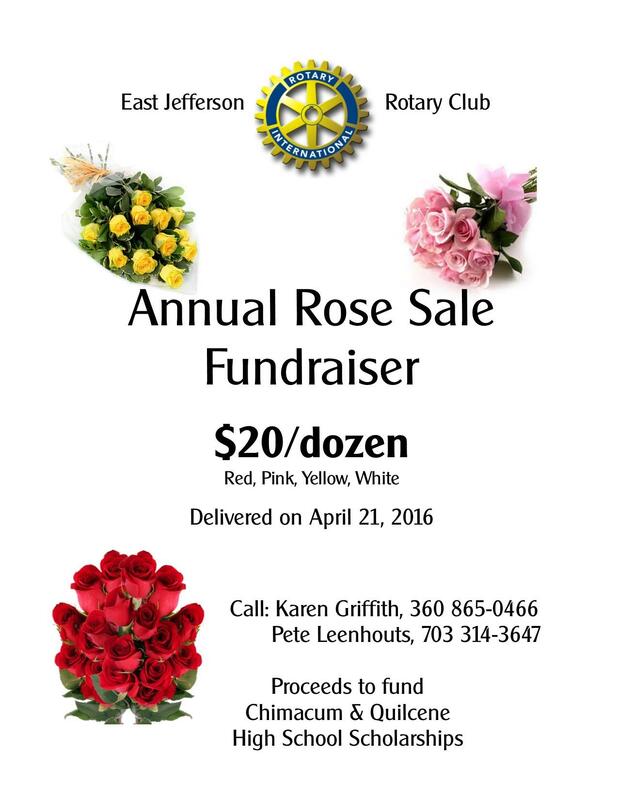 Roses are $20/dozen and are available in red, pink, yellow and white. Our cost is $9/dozen=$11 profit per dozen (before expenses such as printing receipts, etc.). Our goal is to sell 425 dozen. Delivery day is April 21. Everyone is getting a receipt book. More receipt books are available when you need them. You are also being given your list of rose sales from last year. These people are the best place to start with your sales this year! Karen will be at back table every week starting next week to collect your receipts and money. You will deliver your own roses. "Heavy Hitter" sellers will be able to get help with delivery. You are expected to sell at least 10 dozen or pay the equivalent profit from each dozen to the club = $11 x 10 = $110. Call Karen with any questions: 360-865-0466.